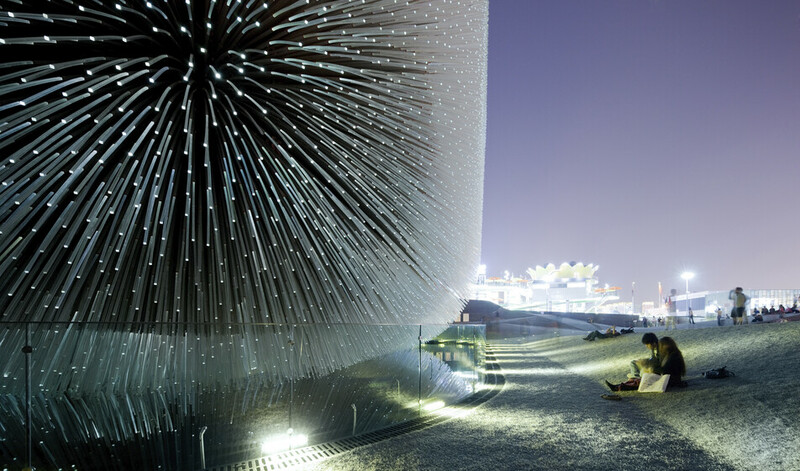 In September 2007, Atelier Ten, as part of a team led by Heatherwick Studio, won the competition to design the UK Pavilion for the Shanghai 2010 Expo. The event, which took place in China from May to October 2010, was one of the largest ever. The concept was an enclosure that throws out, from all faces, a mass of long, radiating cilia. Given their length, the cilia are designed to gently sway in response to any wind movement. The cube rests on its soft forest in an urban field, surrounded by a concrete canopy that resembles unfolded wrapping paper. 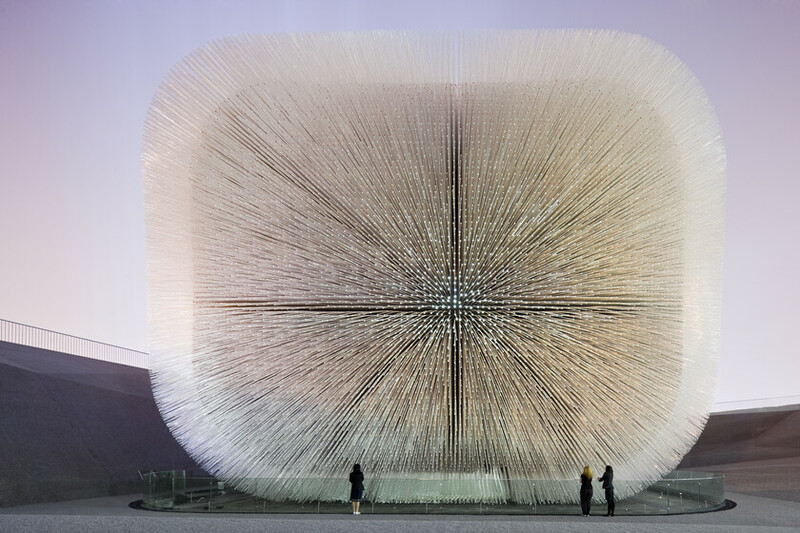 Atelier Ten’s MEPH design for the British Pavilion used careful integration of a displacement ventilation system weaving in and out of the acrylic spikes within the raised floor to discharge horizontally at low-level on the side walls, returning at high-level through near invisible grilles. This kept the internal temperatures at a comfortable level while avoiding big visible ventilation grilles. 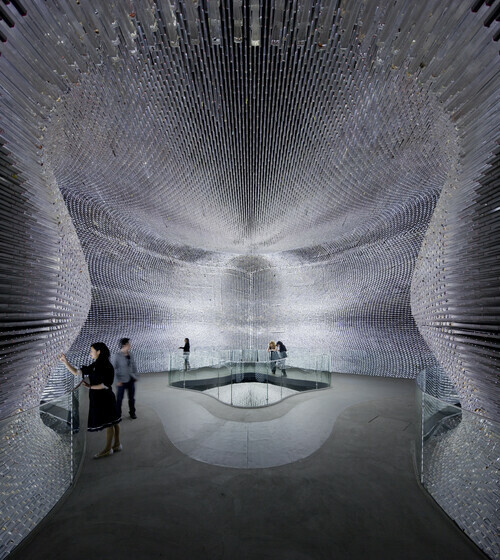 The internal lighting scheme used 70,000 1w LEDs set into the acrylic rods 1m from the internal tip providing enough light to illuminate the seed collection encased at the end of the rod.